When you read that news article that totally rocks your perspective on something. When you see that Instagram picture that makes you wish there was something more than just a little “heart” to express how much you like it. When you hear that story that fills your heart and you can’t help sharing with all your friends. That’s this blog series. Totally Worth It. 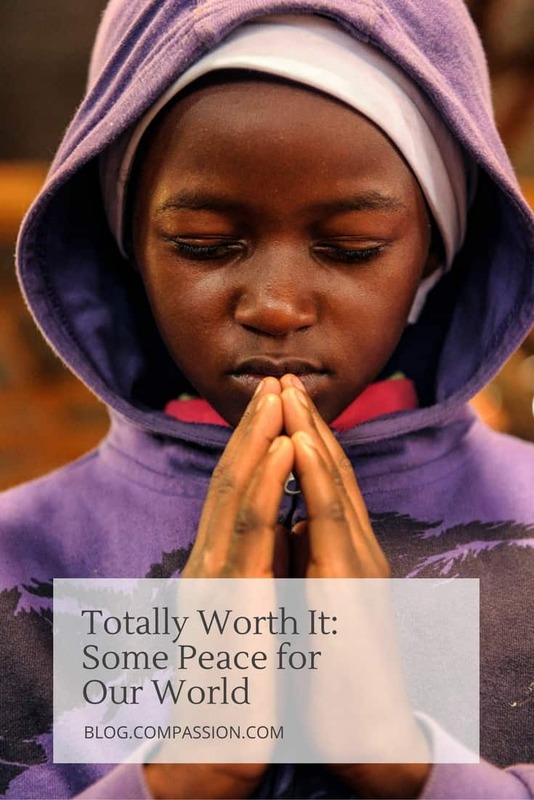 Here in our second monthly installment of Totally Worth It, we’ve got the happenings and noteworthy things that we hope will ignite your compassion for kids, God’s Church and those struggling in poverty around the world. We’re taking our cue from the Nobel Peace Prize announcement today. We think we could all use more peace to lift us up. Winds and water wreaking havoc. Hurricane Matthew has been sweeping the Caribbean and the southern United States. As a category 4 storm, it has been reported to have claimed over 400 lives so far. 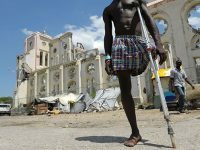 Most of those lives were in the struggling nation of Haiti, which is no stranger to extreme natural disasters. 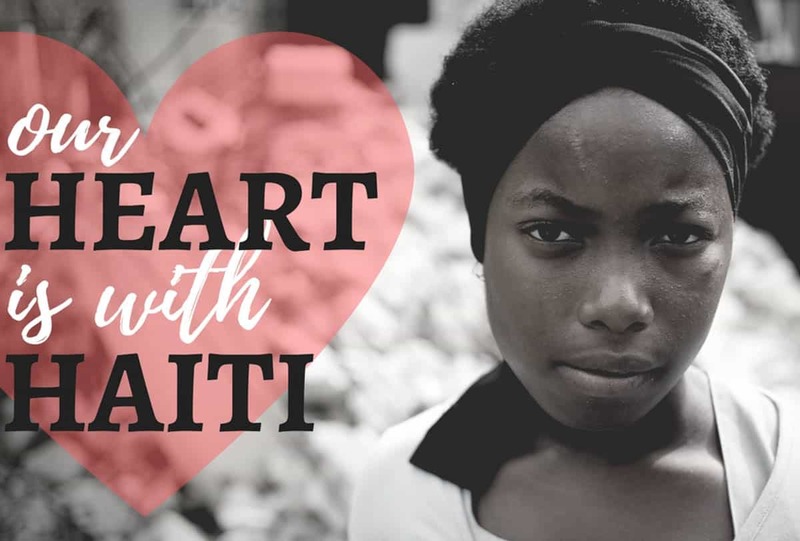 Why This Is Worth It: Compassion partners with 270 churches in Haiti and helps minister to over 79,000 children and their families in our program. They are our family, and we stand with them in prayer during this time. We were with them during the 2010 earthquake, and we’ll be with them through this. Information is still coming in, and damages are still being assessed in Haiti and other countries where we work, like the Dominican Republic and Colombia. We know of over 100 of our church partners and close to 1,200 children and their families that have been affected at this point. Rest assured, we will notify you if the child you sponsor has been affected. When devastation strikes our family, we act. The children, their families, our staff and church communities are currently in need of temporary shelter, food, water, medical aid and help in rebuilding. We can’t do it without you. Please, donate to Haiti relief efforts today! Nobel Peace. Noble Peace. Know Peace. Today, the Nobel Peace Prize was awarded to Colombian President Juan Manuel Santos. Santos’ efforts to end one of the world’s longest-running conflicts is what put the award in his hands. The Colombian government has been at war with the rebel Marxist group Revolutionary Armed Forces of Colombia, or FARC, for over half a century. Even though the peace agreement negotiated by Santos and rebel leader, Rodrigo Londoño was rejected by voters on Sunday, the Nobel Committee still awarded the prize. Their hope? 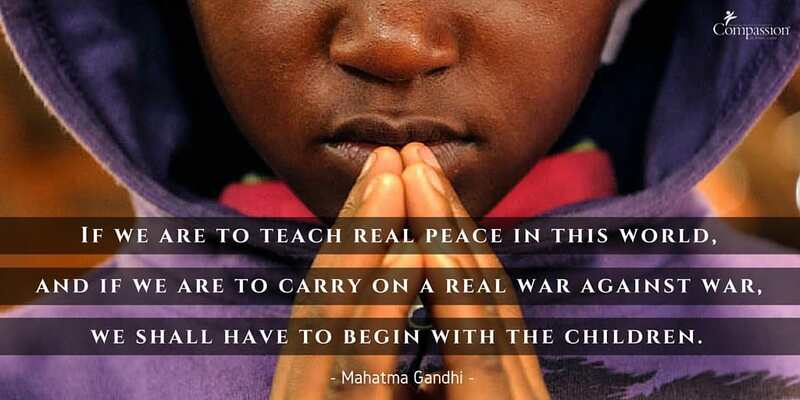 To encourage peace in the war-torn nation. Why This Is Worth It: This 52-year-old war has killed 220,000 people and displaced 7 million – some of whom are the children and families we serve. The church communities in Colombia (and neighboring Ecuador) that we care for have been living and breathing the destruction caused by this conflict for far too long. Because the peace agreement was voted down, Colombia’s future is uncertain. Will you pray with us for peace? We hate to say it … but 90 percent of the U.S. might be wrong. Several polls have found that around 9 out of 10 people in the U.S. believe that extreme poverty across the globe has gotten worse or stayed the same over the last 20 years. But here’s the truth: it’s gotten better. And not just by a little bit. The number of people who have been living in extreme poverty has decreased by almost HALF since 1981. 50 percent more young children living in poverty are surviving now as compared to 20 years ago. Before the 1960s a majority of the world was illiterate. Now over 80 percent of us humans can read. How about them apples? Feel free to nerd out on more encouraging data with this detailed report on world poverty. Why This Is Worth It: We’re in the business of God’s hope. We strive with you and our local church partners to be hope for the children we’re investing in. These children who grow up and become world-changers, community-givers and hope-bringers themselves. They are the joyous reflection of these positive statistics. We truly believe that extreme poverty can be eradicated, one child at time. And you should, too. We love anything that helps give perspective on the complex, beautiful and diverse continent of Africa. The Instagram account Everyday Africa does just that. It features over 3,200 photos from African photographers and others who have lived on the continent. You told us what #givesmepeace and we passed that peace around. Speaking of mothers in our Child Survival Program … this Ugandan mother considers taking her own life — and her children’s — before finding the means and a purpose to survive. Curious answers to curious questions from a sponsor who corresponds with 48 children. Holy cannoli, that’s a lotta letters! What is FGM, and why is it still happening? This senseless act against young women is still happening and we’re doing something about it. It seems like there is an international day for everything. But for us, there are a few that are near to our heart. World Teacher’s Day: Oct. 5. Did you tell your favorite teacher how important they are? It’s not too late to tell them how they rock! International Day of the Girl Child: Oct. 11. Because girl power! World Food Day: Oct. 16. We all need it and some don’t have it. International Day for the Eradication of Poverty: Oct. 17. We believe it can happen! See above. Talking to your kids about suffering in the world is a delicate task. Hats off to momma Christa Black Gifford for having hard conversations about hard questions at the Compassion Experience with her little one. What else do you think might be totally worth it? Give us your feedback and suggestions for future installments of Totally Worth it. I love these posts. So refreshing. Thank you!! I am really loving this series, love all the little snippets of information in one easy to read post. 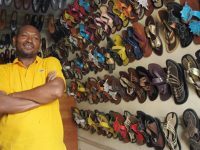 In the future, it might be great to learn what vocational skills some children are learning at the centers, or maybe highlight a graduate who is giving back to their community. We are all guilty, in one way or the other, of doing businesses and dealing with others solely based on “worth” and so often, our worth is simply the by-product of our stereotypes and bias. After all, what is our worth based upon and what is the standard for it? Jesus once said that what is highly valued by man is utterly abhorrent in God’s eyes. I have lived most of my Christian life(20 years plus) in ways no different than any non-Christian pursuing the worth of man and just recently, God spoke to me through absolutely compelling convictions showing me what is really worthy by the heavenly standard, and I have never been the same since then. To me, the life of one child is worthy of attention, love and care. God’s heart is in the life of the weak and vulnerable and they are His uttermost obsession, and I believe children are the weakest and most vulnerable of the society. They have neither choice to make for themselves nor voice to be heard for their rights in the world. The most trifle act of righteousness done in Jesus’ Name in the darkest corner of the world indeed is worthy in God’s sight. Finally, our God is worthy of praise and honor because He alone does marvelous things. Praying for Haiti. My sponsored child is in Petit Goave. When should I expect to hear about whether she or her family were impacted by the storm? Kate, thank you so much for your prayers for those affected by Hurricane Matthew. When natural disasters happen like this, it can take a while for us to receive information from our field office in that country. I have checked, and Ludnie is not listed as being affected. Praise God! In these situations, we will always reach out to you only if your child is affected, so if you haven’t heard from us specifically about your child, that means they are safe. Please continue to pray for the safety of our children and wonderful staff in their relief and assessment efforts. God bless you. Thank you so much for checking Christina!